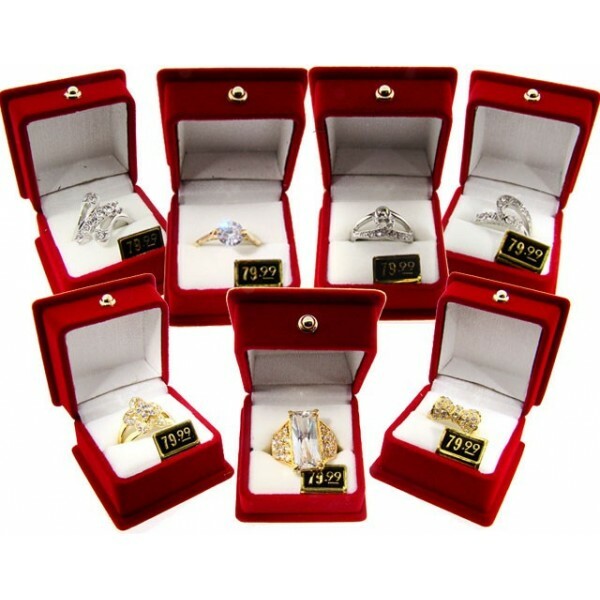 This lot contains 72 QVC quality women's Cubic Zirconia rings. .
Each ring comes in a beautiful red velvet gift box. The MSRB on these is $79.99. . The come with a assorted styles and Assorted sizes 6 through 10. 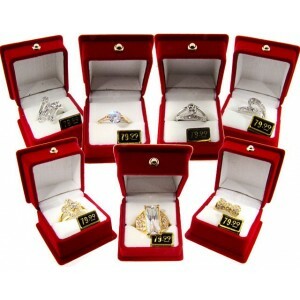 You have the choice of Gold plate or Sterling Silver plate..
$499 for the whole lot OF 72 rings with total MSRP of $5759,28 . Items in the pictures are just samples.